Beautiful lily pond! Great dragonfly shot! It is great that you have such close-by access to nature. 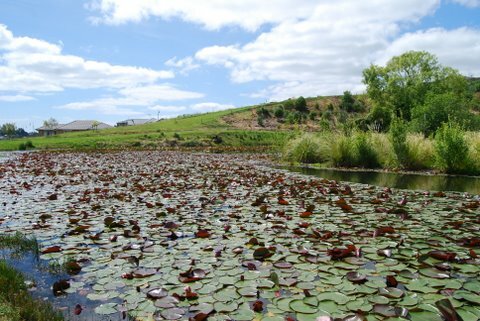 Your own Walden Pond – have you heard of this book in NZ? I am quite parochial. Sorry, but you do broaden my gaze (and with your singular steady vision). I love the dragonfly pic. I am a great lover of taking photos of animals and insects. I am an extremely amateur photographer, but animals are by far my favourite subject.